Loraine Segovia-Paz, publisher of La Noticia and Vice Chair of the Nashville Area Hispanic Chamber of Commerce, has been named to the Metro Human Relations Commission. The first human rights agency of its kind in Tennessee, the Human Relations Commission was created in 1965, re-established in 1994, and consists of seventeen members appointed by Mayor Karl Dean. The vision of the Commission is "One City All People." Segovia-Paz earned her bachelor's degree in Accounting at the University Mayor of San Simon in Cochabamba, Bolivia. 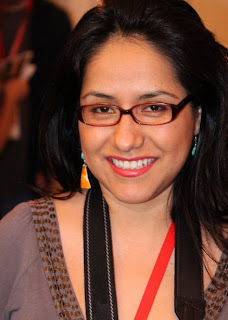 She founded the company Hispanic Paper in 2003, which led to the publication of La Noticia. Segovia-Paz has been on the Board of Directors of the Nashville Area Hispanic Chamber since 2006. Conexion Americas' winning band Rumba, at ABC Music City Corporate Band Challenge. Photo by Mickey Dobo. Conexion Americas, the premier Nashville non-profit dedicated to Hispanic families and their integration into the broader community, has been busy lately, so I thought it was worth rounding up some of their latest accomplishments. Conexion's Facebook page and Twitter feed (@conexion_tn) give an even better overview, but here is a taste. And if you want to learn more about Conexion, check out tomorrow's "Common Grounds" event at the agency's Music Row offices, and sign up for the May 26 "Cup of Coffee" breakfast at the Loews Hotel, both of which are detailed at the bottom of this post. The house rocked April 10 at the third annual ABC Music City Corporate Band Challenge as eight corporate bands competed at The Wildhorse Saloon. Conexion Americas’ Rumba ultimately came out on top, with SESAC’s Desk Jockeys taking 2nd place, and Flood, Bumstead, McCready and McCarthy’s Windfall Profit$ taking third. For the Challenge, area businesses put together company bands to compete for bragging rights and a chance to perform at the CMA Music Festival and at the Arts & Business Council’s 2012 Bowtie Awards. Bands were rated by a distinguished panel of Nashville music industry judges in the areas of musicianship, appearance, originality/music choice, crowd appeal, and overall impression. In 2010, the Frist Center for the Visual Arts partnered with ten Nashville organizations that represent cultures from around the world. 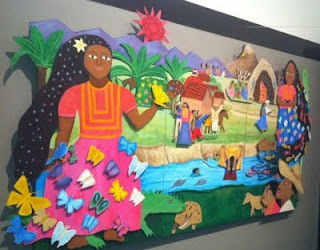 The goal was to create an exhibition of artworks depicting the children’s stories of different traditions. Ten artists and the Frist Center’s community outreach team led workshops in which the artworks on view in this gallery were created. Connecting Cultures: Children’s Stories from Across the World begins with the premise that the stories of children simultaneously reflect unique cultural values as well as perspectives that are shared by people worldwide. All the artworks were created by an intergenerational group of more than two hundred participants. With the guidance of the lead artists, participants acquired and developed skills relating to composition, visual storytelling, and ways of using visual art techniques as a way of reflecting and interpreting narrative stories. It was interesting to discover that even within the same culture there were often diverse interpretations of a single story, often leading to strong discussions amongst the participants. The artworks created for this exhibition are as diverse as the communities, participants, and stories themselves. Our purpose in partnering with cultural organizations in Nashville was to give voice to the city’s growing and diverse population with the strong belief that we can, through art, look at our world in new ways. Roxana Chavarria and Rebecca Andrews. As we approach the first anniversary of the historic May flood of 2010, we are reflecting on our work this past year. 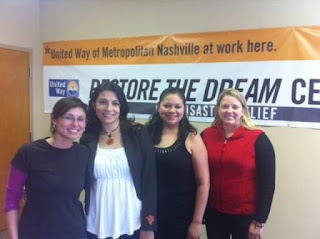 The Antioch Restore the Dream Center, operated by Conexión Américas, is one of the five United Way long-term flood recovery centers that has been assisting families in Nashville since July 2010. The Antioch location alone has worked with more than 225 families, over a quarter of those Latino, to help them put their lives back together in the wake of the 2010 flood. Martha Silva, our center Director, has provided outstanding leadership to an outstanding team. We are thankful for the support of United Way of Metropolitan Nashville, The Community Foundation of Middle Tennessee and The Melkus Family Foundation for making it all possible. April 29th Topic: Results of the 2010 Census and what the growth in the Latino population means for Conexión Américas and Middle Tennessee. Nos vemos! We hope to see you! RSVPs appreciated. Make no mistake: the event without which this story would not exist is a crime. Still, in this NPR story covering the effects and aftermath of crime - and the people involved - we see the journalist using a wealth of ways to refer to people other than labeling them with a criminal title. Jacki Lyden doesn't shy away from the words "prostitute," "street walker," or "john," but she doesn't exclusively use such labels. The immigration beat, in contrast, typically (and often exclusively) overlabels the people in its stories. This is not about saying "undocumented" or "illegal" - it's about sometimes saying neither. Journalists and their readers should take note from Lyden's example of how to report on law-breaking without overlabeling. People are students, sisters, fathers, good-looking or not, with names. Don't forget to describe them that way. What a nice story this is to make the point. Kudos to NPR and to Nashville's own Magdalene/Thistle Farms. The Tennessee Hispanic Chamber of Commerce encourages community leaders to join the discussion on the 2010 census results at its only statewide “TENNESSEE HISPANIC SUMMIT: ASSESSING NEEDS & PLANNING FOR THE FUTURE.” This summit focuses on Tennessee’s Hispanic population growth and how organizations will adjust to the changes. The half-day event will feature notable speakers and panelists to discuss how the Hispanic population growth will impact the state’s health care services, both public and private, education, and business development. How cultural issues may influence organizational planning is also a topic of discussion. “Tennessee Hispanic Census Summit: Assessing the Needs & Planning for the Future” is set for 7:30 a.m. to 1:30 p.m. on Thursday, April 21, at Boone Business Building, Trevecca Nazarene University’s campus, 333 Murfreesboro Road. The cost to attend is $35 which includes lunch. Registration at: www.tnhcc.org. The event is open to the public. Mark Lopez, Ph.D., associate director of PEW Hispanic Center in Washington, DC, will be the summit’s keynote speaker providing details and insights on Tennessee’s census data. Prior to joining the Pew Hispanic Center, Lopez was Research Director of the Center for Information and Research on Civic Learning and Engagement (CIRCLE) as well as a Research Assistant Professor at the School of Public Policy at the University of Maryland. His areas of expertise include labor economics, civic engagement, voting behavior and the economics of education. He received his Ph.D. in economics from Princeton University. Renata Soto, executive director of Conexion Americas in Nashville, and Katherine Donato, Ph.D., chair of the Department of Sociology at Vanderbilt University, will provide an overview of the American Community Survey (ACS), which will also add regional population growth details to the statewide discussion. Initial featured panel speakers include: Claude Pressnell, president of Tennessee Independent Colleges and Universities Association; Lisa Maples, (Memphis, TN) National Hispanic Professional Organization; Gera Summerford, (Knoxville, TN) president, Tennessee Education Association. Additional confirmations forthcoming. Conference registration is available at www.tnhcc.org. For more conference information, call (615) 221-0316. Photo by m4rpk. Licensed via Creative Commons. The Tennessean reported today on the continuing friction between business and the GOP about this year's slate of immigration bills. GOP Rep. Joe Carr was quoted earlier, by another source, as saying that he hopes that Tennessee businesses feel some pain as a result of his immigration legislation, so that they pressure their representatives in Washington to make the necessary fixes at the federal level. The Tennessee Tea Party is also in favor of amping up the pressure on businesses in the state. One would hope that American businesses feeling the sting of immigration enforcement for the first time will lobby the U.S. Congress for an overhaul of the federal immigration bureaucracy and unhinge the bear trap not just from the legs of employers, but from the legs of their employees who have been in that painful position for a much longer time. 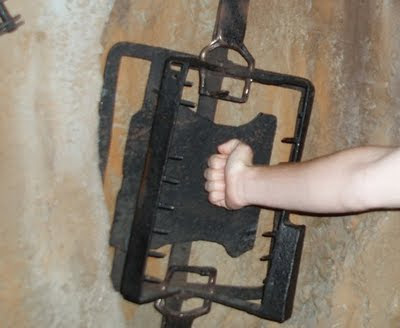 Currently, the immigration bear trap is set to kill only the employee, not the American employer, who violates the law. If the Tennessee legislature wants to set real and consequential bear traps for Tennessee businesses, that is the only way the pain will be more fairly distributed between immigrant and American, between families and businesses, between employees and employers. Enforce the laws to the letter until we Americans feel how harsh our immigration system is. As commentator Sean Brainsted said in a different context here, "The more that rich and powerful people are held accountable to the same laws that poorer people are, the more likely we are to get rid of ridiculous laws." But don't hold your breath. Whatever the Tennessee legislature passes, whatever pain is imposed on Tennessee businesses, it won't hold a candle to the pain felt by ordinary, working Tennessee families who are told they can't immigrate or integrate, who could be turned into a "disappeared person" at the knock of a door. Since the balance of immigration enforcement pain is never going to be felt equally between American and immigrant, Americans who feel no relative pain from the current system are still going to have to speak up on behalf of their immigrant neighbors. Rep. Joe Carr has given us plenty of opportunities to speak up (given the annual parade of state-level YADAs*), but he not proven himself to be a role model in speaking up for everyone. 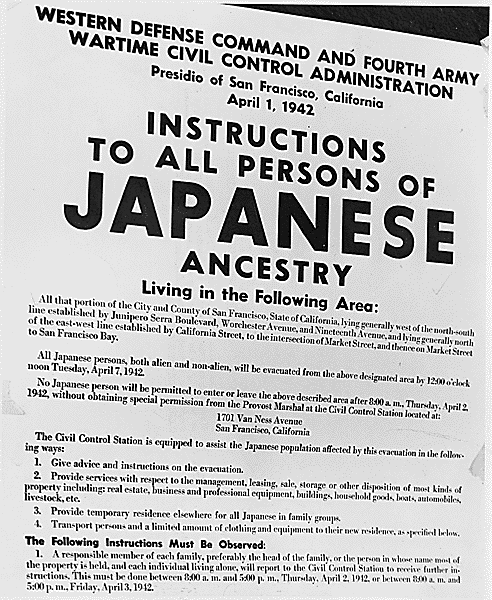 For that, we'll have to aspire to the principled courage of another GOP politician named Carr - Governor Ralph Carr of Colorado, who pushed back against the federal government's treatment of people of Japanese ancestry during World War II. 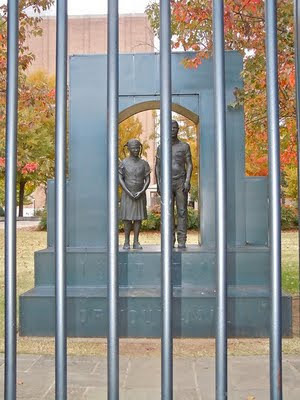 Sculpture captioned, "I Ain't Afraid of Your Jail"
Photo by dcwriterdawn. Licensed via Creative Commons. Martin Luther King, Jr. wrote his "Letter from a Birmingham Jail" 48 years ago today, April 16, 1963, after having been arrested 4 days earlier - Good Friday - for marching without a permit, even though the permit was withheld. King's letter from behind bars was written in response to white ministers who wrote a letter critical of King's breaking of the law by marching for civil rights. This letter is one of the two best answers I have ever heard to "What part of illegal don't you understand?" So often the contemporary church is a weak, ineffectual voice with an uncertain sound. So often it is an archdefender of the status quo. Far from being disturbed by the presence of the church, the power structure of the average community is consoled by the church's silent–and often even vocal–sanction of things as they are. One of the many films at the Nashville Film Festival (going on now through next Thursday) is "Jesús with a Mohawk," the story of a teen who challenges his Catholic High School with his new haircut. This is the first student short film for Kevin Scott Page of Watkins College of Art, Design, & Film. The short premieres during the Tennessee Film Night for Narrative Shorts: Sunday, April 17 at 7:30 p.m. and Tuesday, April 19 at 7:45 p.m.
Hispanic Nashvillians Diana Holland (the nun) and Jasmine Vaca (the "love interest") star in the film. Also, director Kevin Scott Page has some Hispanic roots himself - his grandfather is from Puerto Rico. Page will be in attendance for both screenings, with official Q&A time to follow. Why not. A lot of the short films I see made locally feature the same type of cast and look. I really wanted to serve the community a different look and story. Also, my story was inspired by a real event that happened to me so when it came time to create the characters I just copied the same looks and ethnicities that surrounded me. When it came to the crew, it had to be a mix of professionals and students. The experienced crew added a great dynamic to the student film set by sharing tricks of the trade and advice to the students. After the film shoot, some of the students had landed jobs in the industry through their new contacts. Some of the professionals' resume included Scrubs, Country Strong, 21 Grams, Crash, and The Last Castle. The Executive Producer for my short was David Deeb (VP at Encore Media). We had 50 people on set, two cameras (Super 8 film & High Definition video) that recorded at the same time, and 12 hours for 64 shots. The day before production, our main location dropped out so St. Ann's Catholic School came to our rescue. This was my first short film made at Watkins Film School. I grew up in a small town of 800 people in Sardis, Tennessee with a father in the construction industry and a mother serving as a teacher assistant. My parents taught me to have a strong work ethic, and by the end of my freshmen year in Nashville, I was able to work on 20th Century Fox’s “Percy Jackson & the Olympians” as a production assistant (it's rare for a student to work on feature films). By volunteering at every film and artistic related event in Nashville, I was able to build up a network of new friends. The more I helped out others, the more opportunities came my way. At the age of 21, I have been truly blessed enough to find myself among people like Gwyneth Paltrow, Tobey Maguire, Al Gore, and Bill Clinton, to name a few. For the past three years, I have traveled to different middle schools, high schools, and professional conferences to share my stories about goal setting and community service. I've never viewed tax day as a bad day, even though I paid my highest tax bill ever yesterday. But I had a great year financially with one-time gains I can only thank God for, not myself. I've also view April 15 as an opportunity to say thanks for being born in the greatest nation in the world with the greatest opportunity for individual advancement and unchallenged religious liberty. I also see it as a chance to invest in our military, and in the lives of loved ones like Marine Sgt. Zachary Ross of Nashville, my nephew Victor Chavez in the Navy and my cousin, Maj. Andrew Ferguson, in the Army. These men along with women protect my freedom to have money on tax day to pay the government. Our debt to them can never be repaid. Ultimately, it is nothing we really do that creates that wealth under which we live and for which we are taxed. It is all a matter of fate, or more specifically God's blessings, that one had two, great working parents as role models, or one didn't get cancer at 24 or terminal leukemia like me at 47, or there wasn't a drunken driver on the road at the same time when you were coming home tired from working all evening. So I've always seen my ability to pay on April 15 as a wonderful blessing. 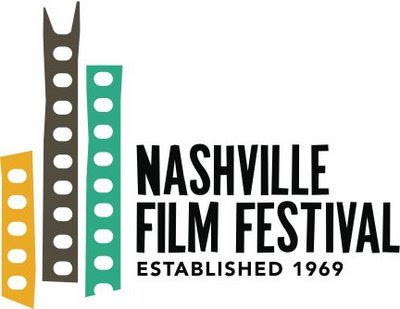 The Nashville Film Festival runs this Thursday, April 14, through next Thursday, April 21, and there are a number of "Hispanic Interest Films In Competition," according to the Nashville Area Hispanic Chamber of Commerce, whose president Yuri Cunza sits on the NaFF board. 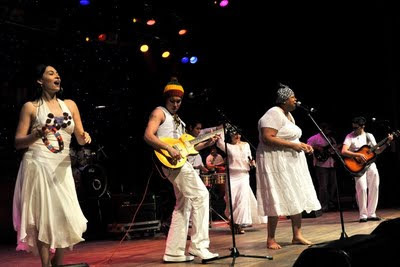 One of the films, "Musica Campesina," about a Chilean man discovering Music City USA, was filmed in Nashville by Chilean author/filmmaker Alberto Fuguet. A number of Nashvillians supported the film behind and in front of the camera. Showtimes and trailer below. In addition to "Musica Campesina" and the other films listed below, there are even more selections from Latin American nations and picks that would be of particular "Hispanic interest" - just check out the online program guide at pages 90-93, the quick-reference schedule grid, the iPhone app, or the NaFF web site. Also we have changed the award we present during the festival to "Best Hispanic Themed Film" (program guide page 18) given that great productions about Hispanic life and culture have also been created by non-Hispanics. Young Jorgelina feels estranged from her boy-crazy older sister, who has entered adolescence and doesn't want to hang around with little kids anymore. Finding refuge in their Boyita camper-van, Jorgelina travels with her father to the countryside, where her lifelong playmate Mario is undergoing some unexpected changes of his own. This hilarious comedy tells the story of Toña and Paquita, the housekeepers for the aristocratic González-Dubois family. These domestic employees have been mistreated for quite some time and they are tired of their situation. So when the family plans a shopping trip to Miami, the maids have a plan of their own - to take control of the mansion. Unexpectedly, they will also discover a long-held family secret. Starring Francisco Gattorno, Rosa Isabel Lorenzo, Aida Morales and Maria Alejandra Palacios. USA / Argentina, 2010, 80 min. In a role inspired by his own life, Larry Lewis plays a man recovering from alcoholism and working towards stability. When he joins a Jiu Jitsu academy, he finds a friend in his instructor, Darren. But, as disturbing aspects of Darren's life are revealed, Larry finds himself faced with the consequences of a horrific act of violence. Alejandro Tazo, a 30-something Chilean, arrives at Nashville on a Greyhound bus from the West Coast. Why is he here? How did he get here? What will he do in Music City? Shocked by her husband's sudden departure, Teresa embarks on a mission to find out what happened. Instead of finding answers, her mission becomes a journey through the streets and homes of the people she meets. Blending fiction and documentary, her wanderings portray the town and its inhabitants. Constructed through characters and the village's corporeal landscape, we drift with Teresa through spaces and people suffering the effects of lost loved ones, broken promises, disconnection and eternal longing. Not since Todd Browning's "Freaks" has the circus been home to this much horror! Winner of Best Director and Best Screenplay at the 2010 Venice Film Festival, de la Iglecia has crafted a violent cabaret where two clowns fight over love of the same woman - and over the aftermath of the Spanish Civil War. When his father is imprisoned by Franco, Javier is charged with avenging him. Cut to Madrid, 1973 and Javier has taken his father's place in the circus and has fallen in love with Sergio, a violent man's girlfriend - and the revenge begins. Starring Santiago Segura, Antonio de la Torre and Raul Arevalo. Photo by Ruth. Statue of Juan Santamaria in upper left. Costa Ricans are celebrating a national holiday today - and a three-day weekend - all because of the country's famous eviction of a Nashville man. On April 11, 1856 (155 years ago!) a young Nashvillian named William Walker was in the middle of his various attempted conquests of Latin American nations. This day would end up being one of many days of defeat for Walker, and this time it was at the hands of a Costa Rican soldier even younger than Walker, a drummer boy named Juan Santamaria. Walker is remembered as a pirate, a foreign invader, even a mercenary, and Santamaria is remembered as the martyr who burned down the hostel where Walker was staying, forcing Walker's escape. Santamaria remains a Costa Rican national hero, with not just a holiday but a prominent statue and park, a museum, and the country's main airport named after him (if you've ever been to Costa Rica, you've been in the Juan Santamaria airport). 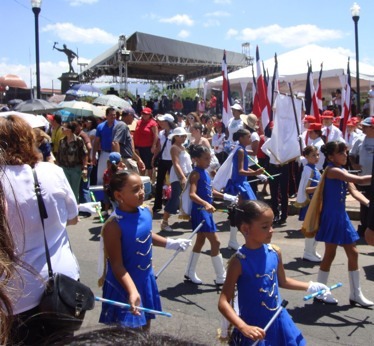 Parades will be held in Santamaria's honor today all across Costa Rica. The phrase "I'm from Nashville" will surely elicit friendly overtures from modern-day Costa Ricans, but be forewarned that it might conjure up a little history, as well. For a pretty darn good (if I do say so myself) background on this holiday and on Walker and his prominent role in history, read my 2009 report, here. 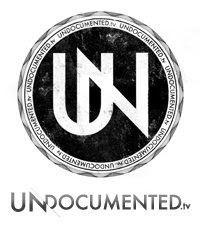 Click here to read my "La Espiga" piece about Jesus and lawbreaking, published this week in the national blog undocumented.tv, a project of World Vision. I wrote it after visiting a Hispanic bakery in Nashville by the same name. including the placement of workers outside the area of their intended employment, not conducting required recruitment of U.S. citizens and misrepresenting the reason for its temporary need for H-2B workers. More general labor violations included failing to pay minimum wage and overtime. Read the DOL press release, including its summary of the H-2B guest worker rules at issue, here. NewsChannel5 tried to get a quote out of Vanderbilt Landscaping but was unsuccessful. Their story is here and has some of the background. James Nix of the Nashville City Paper had a cover story this week on the workers and their lawsuit for various labor conditions at Vanderbilt Landscaping. Read that story here. 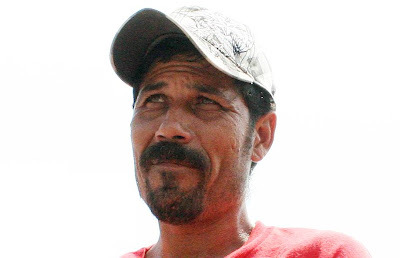 Last August, I interviewed one of the workers about his life and family in Mexico, and how he was recruited to Tennessee. That interview with Hilario Razura is here. Is it me, or do Americans and employers get off pretty easily for immigration violations, while foreigners and employees suffer much more severe consequences for their immigration violations? Chago's Cantina on Belmont Blvd. Nashvillest reviewed Chago's and loved it. "I have always been fascinated with Mexico and the drink Mezcal. It is a part of my life. 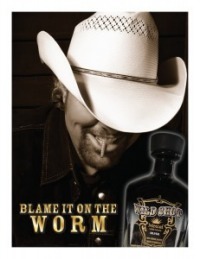 Mexico is a theme that runs through many of my songs, including my recent single 'Bullets In The Gun.' The tradition and history of Mezcal is magical to me, and dates back to 16th century warriors celebrating the defeat of their enemies." The Nashville City Paper quotes me a couple of times today in a story about Hispanic Nashvillians as a political constituency. I mentioned to reporter William Williams a couple of statistics that didn't make it into the story, namely: 37% of Hispanic Tennessean U.S. citizens are registered voters, and 90% of those voted in the 2008 elections. The story does report these 2010 Census numbers: there are 61,000 Hispanic Nashvillians, out of 626,000 total Nashvillians, and 290,000 Hispanic Tennesseans, out of 6.35 million total Tennesseans. Read the full story at http://nashvillecitypaper.com/content/city-news/davidson-countys-hispanic-population-grows-will-latino-political-influence-do-like. Editor's note about sources: I tried to connect Williams to a few other sources, none of which made it into the piece. The Nashville-centric Tennessee Hispanic Chamber has plenty of politically engaged leaders, but they never get quoted in these stories. And Williams has previously reported on Hispanics in Nashville politics, so he knows the current and former leaders of local Hispanic political groups, like the Middle Tennessee Hispanic Democrats and the Republican National Hispanic Assembly of Tennessee; did they not return his calls? Admittedly, neither the MTNHD nor the RNHA of TN appears to have a currently functioning web site, but maybe that could have been a tidbit for Williams' story. Ask them: what is the status of your group, given that your web site is down, as well as the web site of your political contraparte? The answer might have served as a decent metaphor for the overall dynamics of the Hispanic constituency in town. Or not. But it would have been an interesting line of questioning, don't you think? 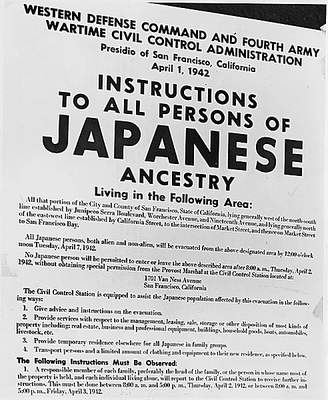 When the enemy is a race or an ethnicity, it is no joke, but there is a fool - April 1 instructions to "all persons of Japanese ancestry"
The concept of physically detaining any Japanese was first brought to the public by Mississippi congressman John Rankin, who, from the floor of the U.S. House of Representatives just eight days after Pearl Harbor, said, "I'm for catching every Japanese in America, Alaska, and Hawaii now and putting them in concentration camps and shipping them back to Asia as soon as possible. ... This is a race war, as far as the Pacific side of the conflict is concerned." Rankin shouted from the well of the House floor, "The white man's civilization has come into conflict with Japanese barbarism. ... One of them must be destroyed. ... Damn them! Let's get rid of them now!" Thank God for men like Republican Governor of Colorado Ralph Carr, who pushed back. I highly recommend this book about him.